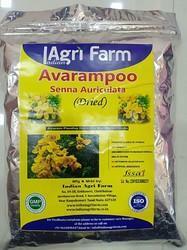 Prominent & Leading Manufacturer from Kanyakumari, we offer avaram poo flower (dried) and drumstick flower (dried). We are providing an excellent quality array of Drumstick Dried Flower to our prestigious clients. Our offered range of this flower is directly sourced from farms. Having wide usage to cure various types of diseases and pain, these are made available by us at most competitive prices. This is also used in perfumed sprays for providing fragrance. The Moringa flowers are creamy white in color, with yellow stamens. Ayurvedic medicine has long recognized the utility of the Moringa plant in treating a number of diseases. Moringa flowers contain vital amino acids and are excellent sources of calcium and potassium, making them a valuable supplement for nursing mothers. 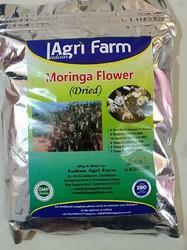 The flowers of the moringa plant are said to taste similar to mushrooms and can be prepared in a number of ways. Moringa flower chutney is often stewed with other vegetables and served as a sauce or side dish. The fresh flowers can be battered and fried as a delicious and healthy snack food. In Bangladesh the flowers are often cooked with coconut, garlic, cumin and other spices to create a traditional springtime dish known as sojne phool. A tea brewed from the flowers is often consumed as a health tonic and an accompaniment to many Indian meals. Moringa flowers are often brewed into a strong medicinal tea or pressed for the juice they contain. In both cases, the resulting drink is used in Ayurvedic practice to treat urinary tract infections, to manage the symptoms of the common cold and as a supplement for breast-feeding women to help increase the flow of milk and the nutritional value it provides to babies. Moringa flowers have also been used as an aid to weight loss as they contain a powerful diuretic that can reduce bloating and water retention. Additionally, moringa flowers can help to strengthen liver function and protect against tissue damage caused by prescription and nonprescription medications. The flowers of the moringa plant are considered to be useful in combating impotence, lack of sexual desire and other sexual dysfunctions. Recent studies have shown that extracts from the moringa flower can be used to reduce inflammation and muscle spasms in laboratory rats. The diuretic effects of moringa flower extract can reduce the incidence of edema and swelling and help the body more effectively heal after an injury or illness. Additionally, moringa flowers contain powerful antibiotic agents that can help combat infection when used topically or taken internally. The chemical compounds in moringa flowers have been proven to reduce high blood pressure and to help control the blood sugar fluctuations experienced by patients with diabetes, making the extracts from these flower pharmaceutically valuable. You can get our seeds from Amazon as well. Kindly click the below link to purchase our seeds through Amazon. Looking for Agricultural Flowers ?